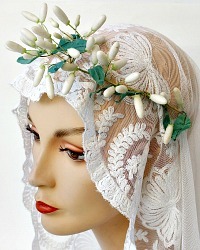 The 19th century French Wax Orange Blossom Buds are exceptional in this classic, simple Wedding Crown. 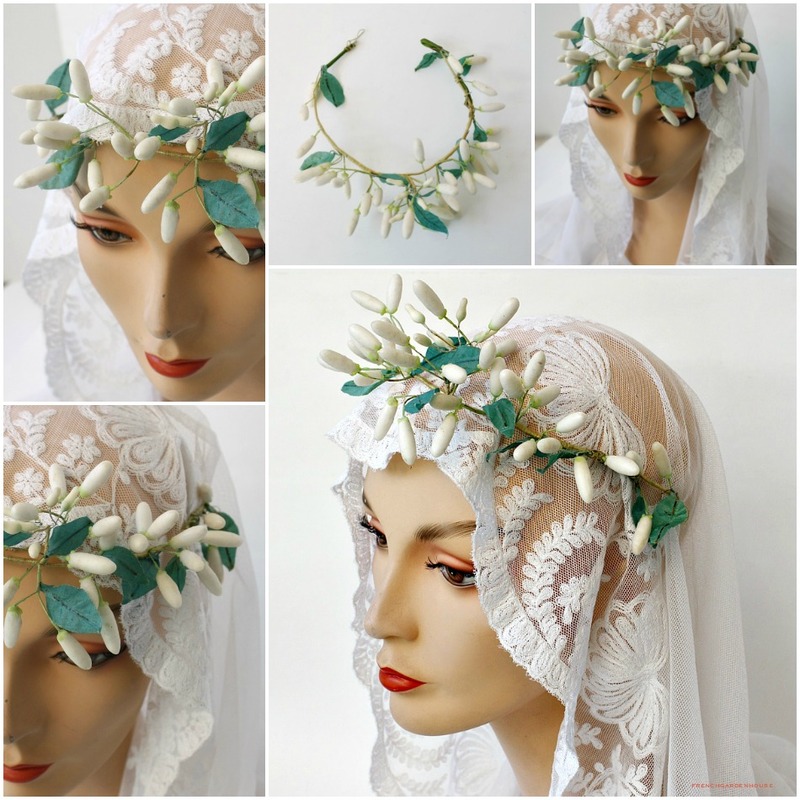 Orange blossoms and buds were worn as a bride's headpiece as a symbol of happiness and fertility ~ because the orange tree blooms and bears fruit at the same time. Heirloom condition, from an estate of the family. 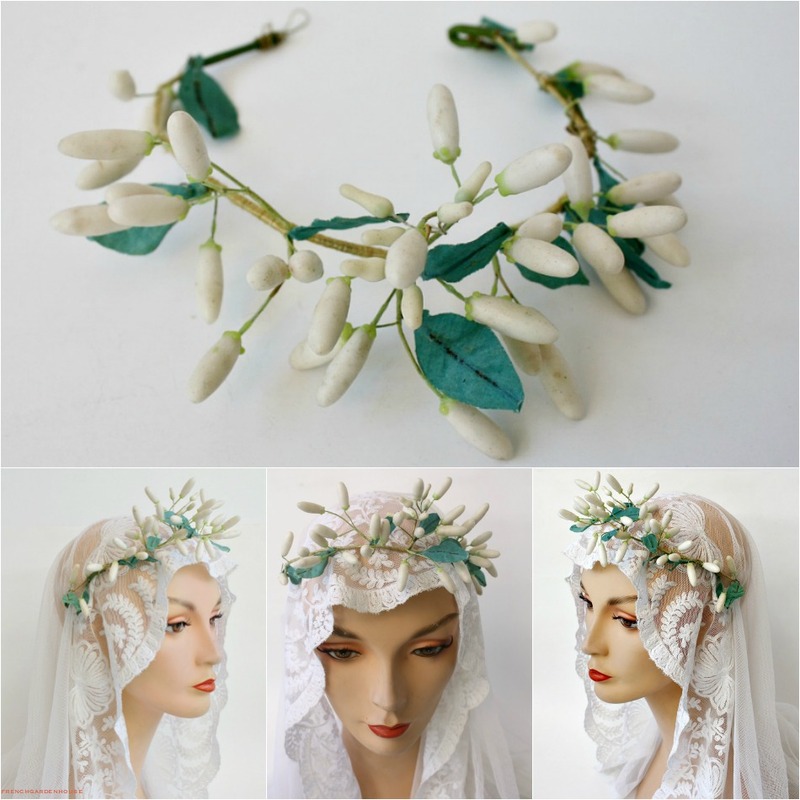 Kept in a glass case, this collectible wedding piece has kept the original white color much more so than most of the other bridal crowns from the late 1800's. The leaves have lightened, the silk wrapped wire has a few delicate bends, as shown. 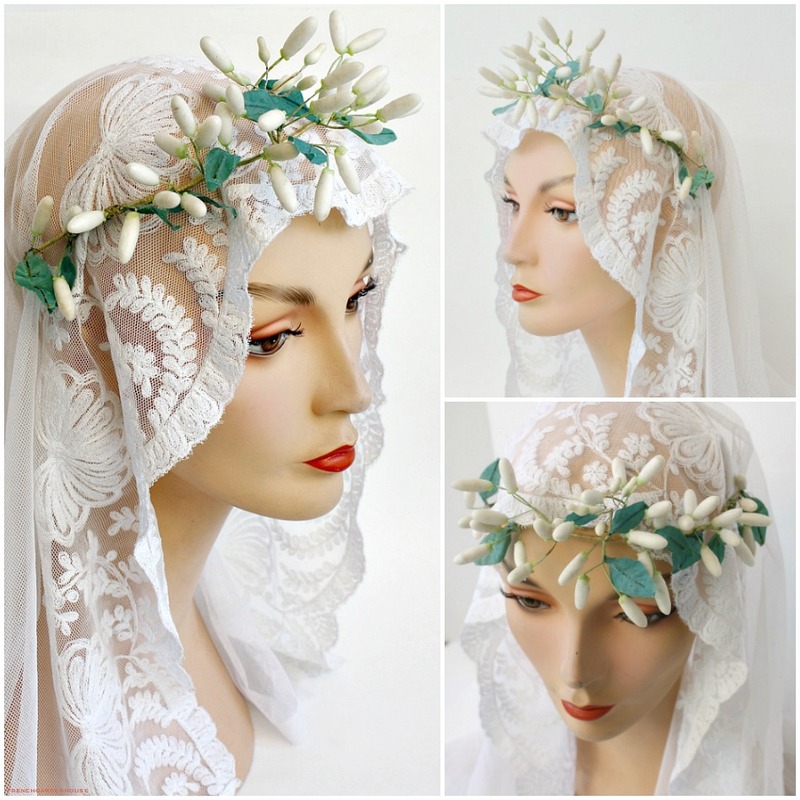 What a stunning, romantic crown to wear for your wedding day, to display on your French mannequins with your collection of antique wedding gowns, or on a Santos.